International Tuberculosis Research Center (ITRC) is located in South Korea where TB is still major public health problem in spite of rapid economic growth and development. ITRC has been trying to establish a network of TB experts and collaborators in the world and provide recent scientific evidences to researchers, policy makers and stakeholders of South Korea. The Department of Vaccine Clinical Research at ITRC is mainly focused on evaluation of novel vaccine candidates against tuberculosis and immunologic diagnosis tools of latent tuberculosis infection and active tuberculosis. Based on collaborations with national and international organizations, we have actively involved in a number of studies in different populations of S. Korea, such as BCG vaccinated children, adolescents with LTBI, active tuberculosis patients, and healthy adults. 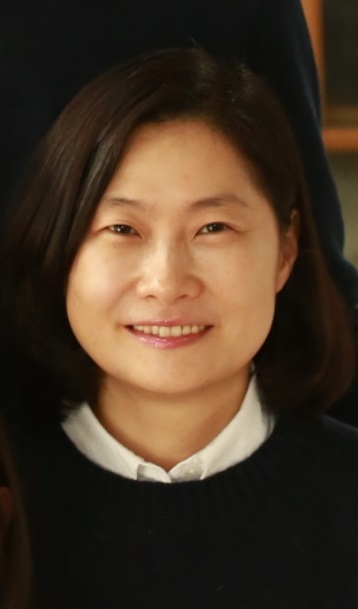 Our group is recently funded by National Research Foundation of Korea for the TBVAC2020 project to collaborate with laboratories in the consortium, enabling us to identify, test, evaluate and prioritize proper surrogate-endpoints of protection (“correlates of protection”) for novel TB vaccine candidates, and to harmonize and standardize core assays to measure and compare these among heterogenous populations in the partnership. Throughout this project, we will prepare core assays and baseline data for target groups, in advance to large-scale clinical trials for new TB vaccine candidates in S. Korea. Hong JY, Lee HJ, Kim SY, Chung KS, Kim EY, Jung JY, Park MS, Kim YS, Kim SK, Chang J, et al. Efficacy of IP-10 as a biomarker for monitoring tuberculosis treatment. J Infect. 2014 Mar;68(3):252-8. Kim S, Kim YK, Lee H, Cho JE, Kim HY, Uh Y, Kim YM, Kim H, Cho SN, Jeon BY, et al. Interferon gamma mRNA quantitative real-time polymerase chain reaction for the diagnosis of latent tuberculosis: a novel interferon gamma release assay.Diagn Micro biol Infect Dis.2013Jan;75(1):68-72. Lee H, Cho SN, Kim HJ, Anh YM, Choi JE, Kim CH, Ock PJ, Oh SH, Kim DR, Floyd S, Dockrell HM. Evaluation of cell-mediated immune responses to two BCG vaccination regimes in young children in South Korea.2011Sep2;29(38):6564-71. Lee H, Dockrell HM, Kim DR, Floyd S, Oh SY, Lee JB, Kim HJ. The Current Status of BCG Vaccination in Young Children in South Korea.Tuberc Respir Dis(Seoul).2012Apr;72(4):374-80. Lee M, Cho SN, Barry CE 3rd, Song T, Kim Y, Jeong I. Linezolid for XDR-TB–Final Study Outcomes. N Engl J Med. 2015 Jul 16;373(3):290-1. Lee M, Lee J, Carroll MW, Choi H, Min S, Song T, Via LE, Goldfeder LC, Kang E, Jin B, Park H, Kwak H, Kim H, Jeon HS, Jeong I, Joh JS, Chen RY, Olivier KN, Shaw PA, Follmann D, Song SD, Lee JK, Lee D, Kim CT, Dartois V, Park SK, Cho SN, Barry CE 3rd. Linezolid for treatment of chronic extensively drug-resistant tuberculosis. N Engl J Med. 2012, 18;367(16):1508-18.